Cordial and Sanguine, Part 61: Whose Left? Which Libertarianism? Over at C4SS Ive posted the abstract to a paper on Left-Libertarianism: Its Past, Its Present, Its Prospects that Ill be presenting at the MANCEPT 2014 Workshop on the Current State of Libertarian Philosophy in Manchester UK in September. As it happens, Kevin Carson has a more detailed post up on the same topic: What Is Left-Libertarianism? Read them both  or be left out of all the cool conversations among the cool people in the corridors of counterpower! 11 Responses to Cordial and Sanguine, Part 61: Whose Left? Which Libertarianism? Ecce! I do feel like a serf to the heirs of Sam Walton who is oppressed as a direct consequence of “ownership of land by neo-feudal elites”! But, am I as a Walmart associate? 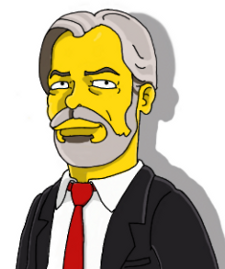 “The minimum list of demands of left-libertarianism should include abolition of all artificial property rights, artificial scarcities, monopolies, entry barriers, regulatory cartels and subsidies, by which virtually the entire Fortune 500 gets the bulk of its profits” (my bolding): huzzah to the tear down of (artificial, or otherwise) “scarcities, monopolies, entry barriers, regulatory cartels and subsidies.” However, what information does Mr. Carson have to claim that practically every Fortune 500 company receives a “bulk”–however much that may come out to be–of their profit (or revenue?) from such “public-private partnerships?” Could you point me in the direction of solid evidence for this? Carson makes the case in his books Organization Theory (buy)(free download) and Mutualist Political Economy (buy)(free download). This may be a project for an entirely new paper, but given (a) your invocation of Rand, and (b) the distance of left-libertarianism from Rand’s politics (or Objectivist politics generally), I think it’d be interesting to come up with an explanation for how you manaeg to be so heavily influenced by Rand, and yet end up espousing a politics so distant from hers. My own view is that the explanation is partly a matter of high philosophical disagreement at the level of doctrine (epistemology, ethics, etc. ), partly a function of Rand’s tendency to conflate her idiosyncratic political views with Objectivism as such (where you might reject her view while agreeing with the doctrine), and partly institutional: the Objectivist movement today is institutionally set up so as to discourage freedom of thought and discussion in the Millian sense. The result is that it’s just replicated the same tired right-wing cliches ad nauseam for five decades now, giving the false impression that that politics is where Objectivism inevitably leads. The exact distribution of disagreement across these three dimensions is bound to be interesting. Maybe too much to describe in this particular paper, however. This may be a project for an entirely new paper, but given (a) your invocation of Rand, and (b) the distance of left-libertarianism from Rand’s politics (or Objectivist politics generally), I think it’d be interesting to come up with an explanation for how you manage to be so heavily influenced by Rand, and yet end up espousing a politics so distant from hers. I say a bit about this here and here. J. M. Oliver argues in The New Libertarianism: Anarcho-Capitalism that Objectivism’s highest realization would be anarchocapitalism. I think left-libertarian anarchists would get a pass from most of the strongest critics of left/thick libertarianism: With left-libertarian anarchists you can be certain there will be no statist special cases. With left-libertarian statists there’s always the fear that you’re listening to some fascist wannabe who has learned to talk the talk. They don’t in fact seem to give us much of a pass though. Instead they repeatedly assert, without evidence and in spite of our denials, that we favour violating NAP to achieve our lefty goals. Instead they repeatedly assert, without evidence and in spite of our denials, that we favour violating NAP to achieve our lefty goals. Despite the fact that LLs are much more likely to be prison abolitionists, anti-IP, anti-punishment, and more unambiguously anti-war. Three cheers for pointing this out! Is there any such thing as a thin libertarian in reality? I would wager that nearly every libertarian, if pushed would hold that certain values are closely linked to liberty. I see no reason to think a left libertarian would sell out liberty in favor of other considerations any faster than a right libertarian. There are some areas where I find myself in agreement with left libertarians, some areas where I think they raise interesting questions but go off the rails and some areas where I think they are wrong. But I have more sympathy toward their project than the Gary North type “libertarians” who would have me stoned to death in their ideal world. Libertarians are all thick each in their own way. Each of us values things beyond the NIOF/NAP and we can be sure that value them as highly as we may that to use force to achieve them would be unjust and therefore impermissible. The problem is to trust that differently thick libertarians are not embarking on a game of chutes and ladders that ends again in fascism. I think that the work of Prof. Long which identifies just, non-violent responses to wrongs that are not injustices may be the way out of this thicket of distrust, not for all, but maybe for enough of us.